The Inverter Installation Kit is designed to be safely used with DC to AC Power Inverters up to 1000 watts. The kit contains all the items required to assure proper performance and life span of your Power Inverter. Using proper fuse provided in Inverter Installation Kit will protect batteries and other electronics from damage from shorted wiring. 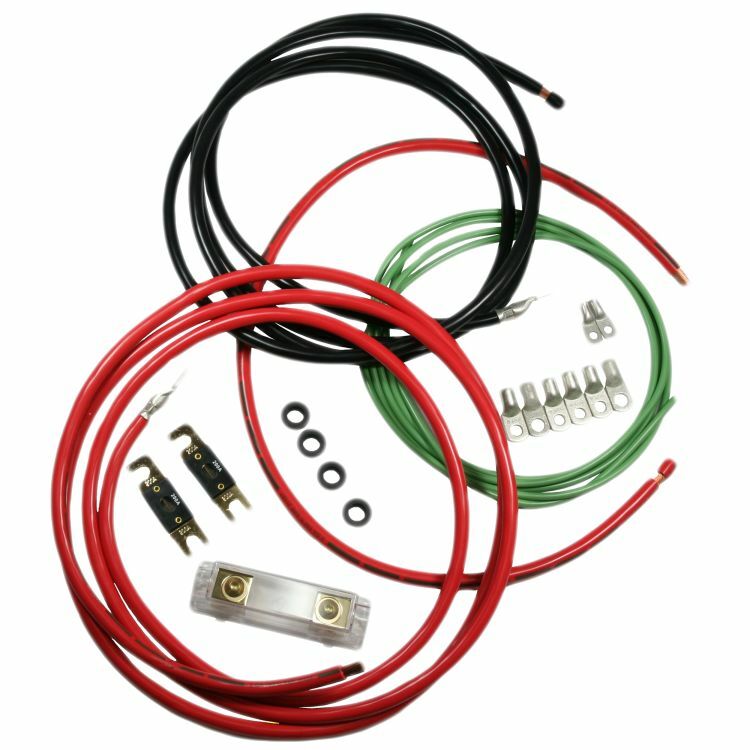 This kit allows up to 10 foot reach from DC power source. Some tools required to make installation. Rated 4.00/5 Stars from 1 customer reviews. Do you own the 9944? Please, tell us what you think about it. It helps us provide you with better products. Please note that it may take up to 72 hours for your review to appear. Pros: Enclosed paper instructions from Quick Power lists 4 gauge wire cable is intended for use on 1,000-2,500 watt power inverters. 150 amp fuses are recommended for use on 1,000 watt power inverters. Prior to installing Zamp 600 amp pure sine wave inverter [ZP-600PS], made quick call to Zamp Solar to ascertain if cable size, total length of cable run and fuse amperage was adequate for this type of power inverter. Cons: Picture of kit does not adequately portray what is included: No Screws, No Plastic Ties, No Heat Shrink Tubing, and only 2 each 4 gauge 5/16 wire connectors. Included with kit is two safety fuses, both rated at 150 amp. Enclosed paper instructions clear and easy to follow.